Turnkey service for archiving video content onto LTO-5 or LTO-6 tape. Ideal for the completed video project that needs to be backed up, and placed in storage on the chance that the content might be needed again in the future. Overall, the archiving of video content represents the least expensive part of any video project, and yet it can be indispensable in certain situations. 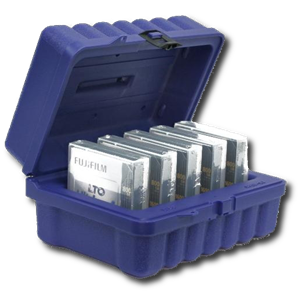 LTO tape backup is inexpensive insurance against possible loss of one-of-a-kind content and provides peace of mind! We can receive your digital files via UPS shipment of your hard-drive(s) into Cintrex, or use of our loaner hard-drives, or via your preferred Web transport service, or via our own LightJar cloud service. UPS shipping is free. Receive back from us your original storage media (if you sent in a hard-drive) and an archive copy of your digital files on LTO-5 or LTO-6 tape. One (1) LTO-6 tape can store up to 2.5TB of video files. LTO tapes have a 30 year shelf life. The archive rate is $90 per TB. Minimum order is for 1 TB. Volume discounts apply, the rate can go as low as $65 per TB. Price includes content organization, barcodes, tape media, and Free round-trip UPS Ground shipping on orders valued at $100 or more. 2nd Copy of LTO-6 tape - pricing varies, depending upon tape format. Free Inbound via Your Cloud Service - We can accept file transfers via your own web delivery services, bypassing inbound UPS shipment into our lab. Limitations may apply regarding how much content we accept each day onto our system hard-drives. Paid transport with use of our Loaner Hard-drives - we offer an option to supply 4TB external hard-drives with esata, USB 3.0 and Firewire 800 interfaces for a rental fee of $100 per hard-drive. After you place your order, we will ship the loaner hard-drives to you for placement of your content, and you will be able to print off a UPS label for free shipment into Cintrex. When loaner hard-drives are asked for, we charge 50% of the order value upfront against your credit card once the loaner drives are shipped to your premise, and the remaining 50% upon order completion. Safe Transport of your video assets - With your order in our web store, the process begins with shipment of your video files (assets) into Cintrex. It is best practice to always have a duplicate copy of these video files in separate storage, as backup protection against possible loss or damage in shipment. After placing an order in our web store, you will receive a URL link and instructions to print off a UPS label for attachment to package shipment into Cintrex AV. Alternative transport via Cloud/Web transport services - Use your preferred File Sharing/Transport service, or use our LightJar cloud storage service. With LightJar, cost of transport is 13 cents per GB. If you choose LightJar, we send you the login credentials for accessing the service and uploading your content. Zip up your projects for upload, or upload files into Collections. Individual file sizes are limited to 50GB. We suspend this service, once we have received all your content. We Follow Your Instructions - Please provide documentation on job scope - specifying your expected outcomes, naming conventions, organization, and information tagging of video files to be archived. Tape Formats - We archive digital video and image content onto LTO-5 or LTO-6 tapes. We format tapes in open standard LTFS (for shops with mixed Windows and MAC OS) or BRU PE (for MAC specific shops). Both formats provide inter-exchangeability between computers and tape drive platforms. 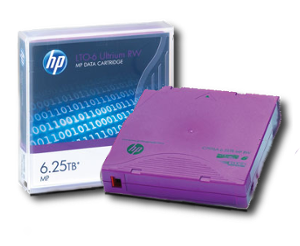 We also can format the LTO tape with HP or Arcserve proprietary software, if specified. Turnaround - Average turnaround within our labs for this service is 1 day for each 4TB of video being archived. This does not include shipment transit time. Deliverables - You receive back the new LTO tape(s) with the archived video content, as well as, your orignal hard-drives and digital content. Payment - We charge your credit card when we have completed your order. NOTE - When loaner hard-drives are ordered, we will charge 50% of the order total when we ship our loaner drives, and the remaining 50% when the order is completed. 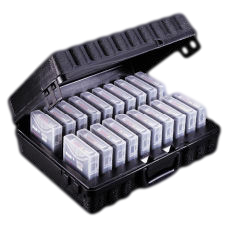 Options - Perm-a-store Turtle cases, starting at $55, are a great way to transport and store LTO tapes. From Kevin of Los Angeles & Pittsburgh, California on 9/25/2014 . Thank you for backing up completed projects from our Hard-drives to LTO tapes.